This heavier duty hinge boasts a wider and thicker leaf in addition to a larger diameter pin when compared to its cousin the H555. 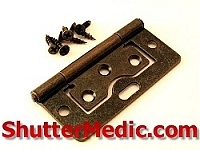 Because it is a non-mortise hinge, there is no need to mortise your shutter panel or frame making installation quick and easy. . Feature: Pin Diameter: Approx. 3/32 inch. The product was a perfect replacement part. The website was easy to use, the measurements and details super accurate. Shipped fast and exactly as ordered. Easy website to maneuver, shipped fast and easy install. Love it. 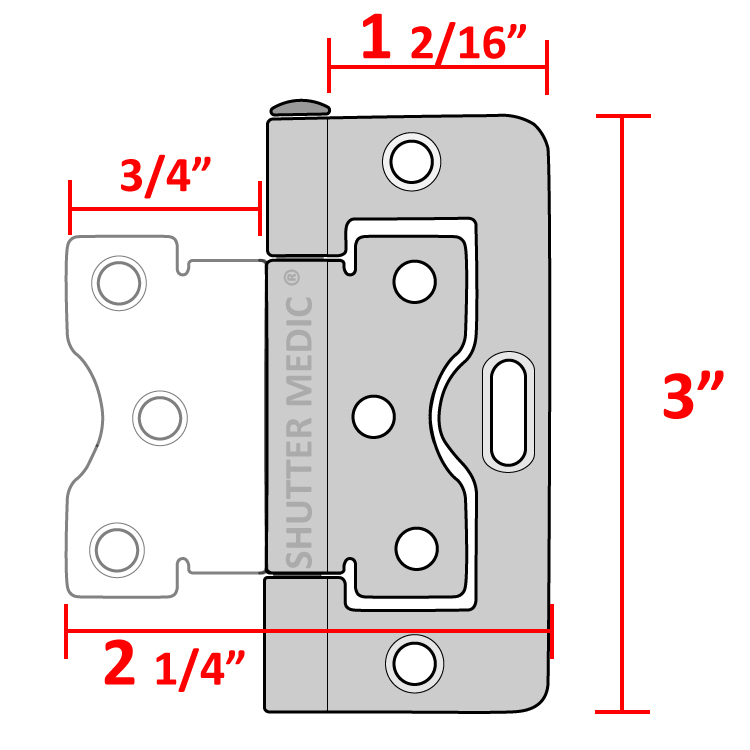 The H999 hinge is the perfect fit for my shutter panel applications. High quality fit & finish in all colors.